Are you interested in spending a day at Disneyland® Paris? Have you already booked your tickets to the Disneyland parks? We offer shuttle services to Disneyland Paris parks in air-conditioned buses, departing from the center of Paris. Our buses leave Paris first thing in the morning to reach Disneyland when it opens. Enjoy a full day at Disneyland and Walt Disney Studios parks, depending on admission. Disneyland Park: Discover a magical world with five fantastic lands. Travel through time and space, watch some amazing parades and shows, and enjoy the light show at Sleeping Beauty Castle. 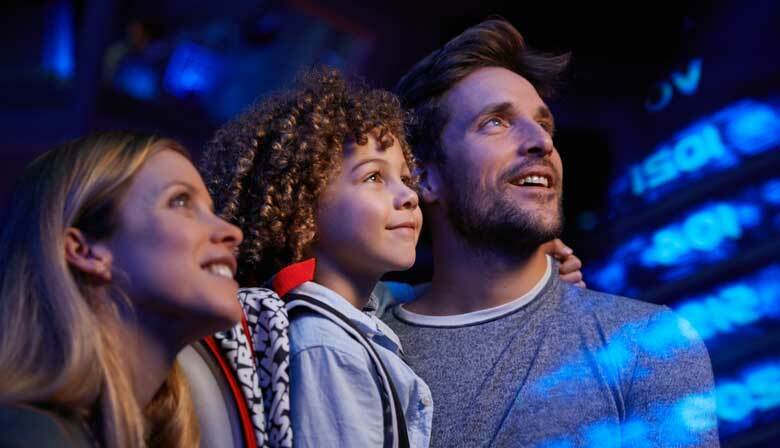 Walt Disney Studios Park: Enjoy a magical moment in the universe of Disney movies. Discover legendary scenes from well-known animated features, and be blown away by the mind-boggling effects of the Backlot and other thrilling attractions, perfect for young and old alike. On the bus, you will be given information on how to find the shuttle again in the Disneyland Paris parking lot, at 6:45 p.m.
You can also opt for the package deal, which includes a round-trip ticket and admission to one or both parks. All was organised very well. Thank you. No bad surprises, everything was as we expected. It was good to arrive at such an early time to the park, and departure time was also optimal.